The Moors for the Future Partnership includes the National Trust, Peak District National Park Authority, RSPB, Natural England, Utility companies and other groups working together to improving and preserving moorland landscapes. Their involvement in the Cut Gate campaign has been to oversee draft specifications for the works, along with acting as the main partner with the BMC for the funding application. As a body with significant experience in this area, we’re glad to see Moors for the Future acting to oversee contracting and works once we hit our funding goal! 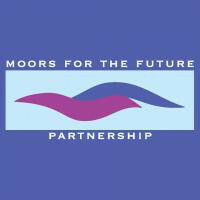 For a better idea of the great work that Moors for the Future have been responsible for, please see their website.